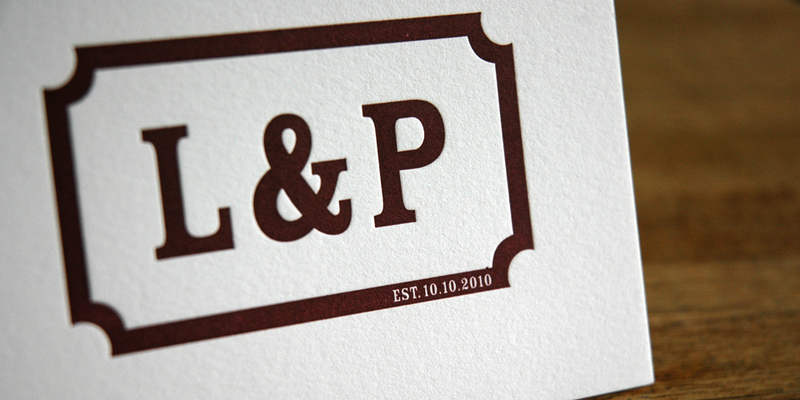 These single color cards were printed with Cranes 110lb Fluorescent White Stock and folded down to 5x3.5. 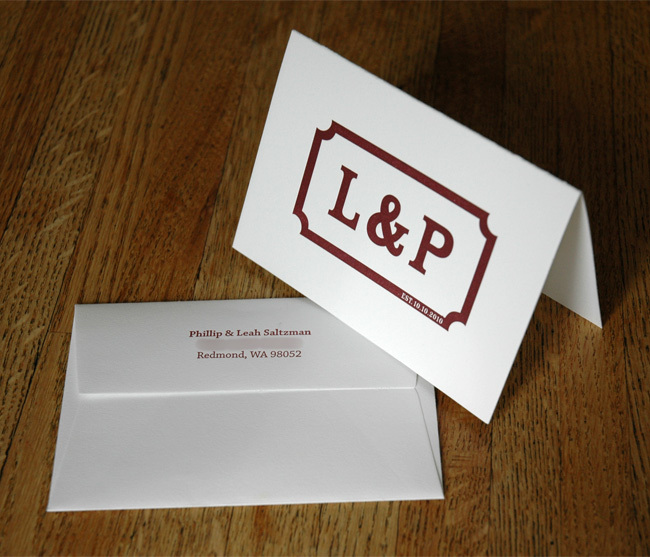 We printed them using a deep maroon ink for both the cards and the envelopes. The trickiest part was making sure their "est. date" stayed crisp even though the type was small and surrounded by so much maroon ink. The logo was designed by Amy Reisman Goldstein of Call me Amy Design.